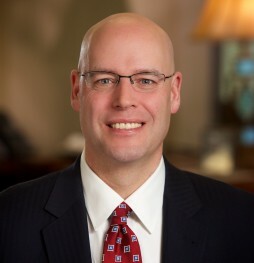 Andy Quinn is a founding partner of McAllister & Quinn and manages a unique portfolio of clients, including hospitals and health systems, higher education institutions, associations, and public and private corporations. Prior to founding McAllister & Quinn in 2004, Andy worked for nearly 10 years on the staff of Congressman Steny Hoyer (D-MD), the current House Majority Leader. Through his work in a Leadership office on Capitol Hill, Andy developed close relationships with Members of Congress on both sides of the aisle and senior career Executive Branch officials throughout the Federal government. Andy established and leads two of McAllister & Quinn’s fastest growing practice groups: the Healthcare Practice and the Research Universities & Institutions Practice. Andy has overseen the continued development of these highly specialized groups in response to increased competition for federal research dollars and a more complex federal funding environment that calls for aggressive and creative approaches to sustain sponsored research endeavors. For the Research Universities & Institutions Practice, Andy works with public and private research universities, integrated medical research practices, academic medical centers, and other research-intensive organizations to support, expand, and diversify sponsored research activities. For clients in the Healthcare Practice, Andy represents large healthcare organizations or health systems with multi-million dollar federal funding research portfolios, as well as smaller healthcare organizations with less experience seeking federal grant dollars. Andy has assembled a highly trained staff of federal funding experts, including a number of Ph.D.’s with extensive experience in health, life sciences, and defense/homeland security matters, to help serve these clients and strategically pursue federal funding. His growing team includes former federal agency staff members, former faculty with experience as principal investigators, and experts with specialized experience in defense and advanced technology. This team is backed by more than 250 grant writers and reviewers with advanced degrees in diverse disciplines in health, science, and the humanities. Andy also has unique experience representing clients in the firm’s Associations Practice, where he has developed a particular expertise representing large membership organizations that focus on public safety, law enforcement-related issues, and homeland security. Clients include the National Border Patrol Council (NBPC), the National Fire Sprinkler Association, and the National Hispanic Coalition of Federal Aviation Employees (NHCFAE). Andy is a graduate of the University of Arizona where he received his B.S. in economics.